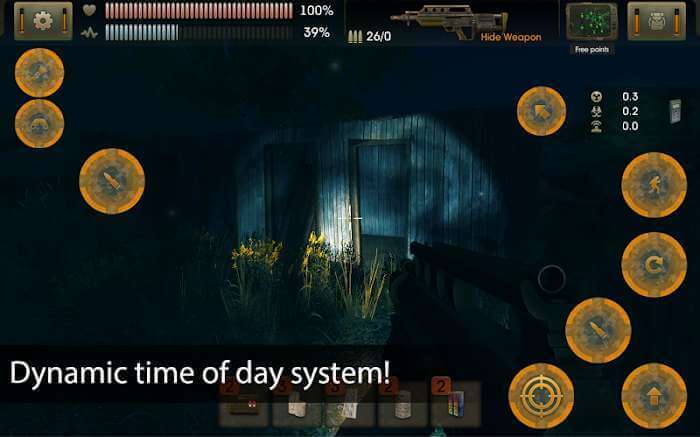 The Sun: Origin is an FPS game for mobile phones. This is a game that was reconstituted as the awesome legendary S.T.A.L.K.E.R of PC/Console to the mobile screen. As we all know, S.T.A.L.K.E.R. can be considered one of a unique FPS game series in the PC/Console gaming community a long time ago. Instead of pushing the players into death scenes, STALKER is a true adventure game that goes deep into the vital elements of the story-based RPG system, creating a completely different experience. And now we have The Sun: Origin, an awesome FPS that will reconstitute all the best that S.T.A.L.K.E.R did but will be on your mobile phone. The game was developed by a Russian team and was officially released by Agaming +. This is an ambitious version because it was first released for the iOS series, the Android version we have the version of The Sun Lite Beta was released last year. The Sun’s the story is quite new, set in 2050, when the sun releases a huge amount of energy into space, threatening all the planets around the solar system. Our Earth is also among them. There is a risk that the Earth will turn into ashes for a short time. But scientists have warned that most people do not care about the problem. Until the energy it reaches the Earth causes the atmosphere to be polluted, all the creatures on the green planet are destroyed and of course, including the human race. However, some survivors are anticipating this catastrophe and hiding in the ground. As the storm passed and the survivors stepped to the ground, the image of Earth in their eyes was nothing more than a collapse of civilization. At this point there is no government or law, the only existent is a barren Earth. As a lucky person of these who knows justice and morality, you will have to reestablish order for this place. The Sun: Origin will still carry the style of S.T.A.L.K.E.R that is how to play and control the shooter in the first angle. Instead of deepening the action, the game allows you to develop characters in the direction of collect weapons, equipment, and other items. Most gamers can also interact with various NPCs from which to take on missions and go further into the storyline. 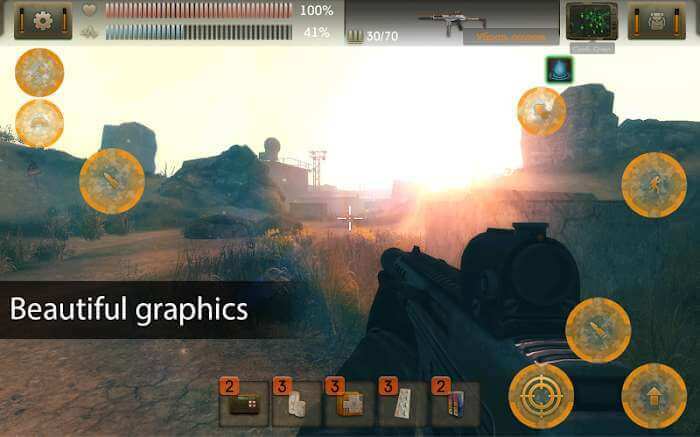 In terms of graphics, The Sun: Origin is not more inferior than the other shooter games on mobile phones today as Modern Combat 5 or N.O.V.A. Legacy. The game that owns the impressive 3D graphics, characters, and maps in the game was designed with a gloomy style that resembles the background of Earth in the face of destruction. Even if you are a prissy man, The Sun: Origin will also make you happy. 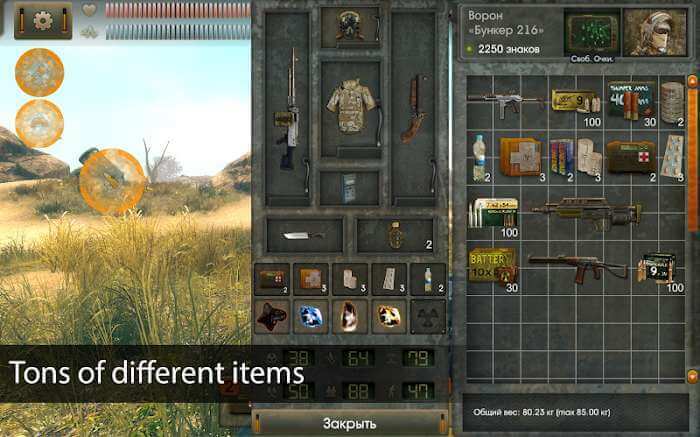 If you are a fan of S.T.A.L.K.E.R you certainly can not ignore The Sun: Origin – the game must say is the best quality on Mobile at the present time. Currently, the game is being sold on the App Store and Google Play for $2, but you can download it completely free with the link below that we provide. Finally, have fun. If you need only money, then download and install the mod, start a new game (or download the old one), save, then download and install the original.